If you have wanted to try SQL Server 2012 and learn about its new features but have not had the time or capacity to set yourself up a test environment then go over to SQL Server Virtual Labs where you can fire up SQL Server 2012 in an instant. At the time of writing this post, there is no cost involved in running these labs. 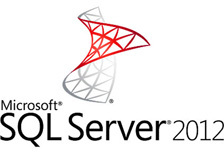 They don’t just cover SQL Server 2012, there are labs on SQL 2008 and business intelligence tools for you to try as well. Whether you are going for SQL Server 2012 certification or wanting to learn about certain features related to SQL Server then these labs are a valuable resource. Not happy with something, then simply run the lab again and cut out any time required to set up what you wanted to cover. It’s also a great resource to come back to when you get close to sitting an exam. Labs can last up to 90 minutes.